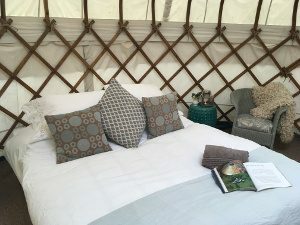 Devon Yurt is a long established glamping site which has been welcoming guests to this beautiful corner of Devon for more than 10 years. 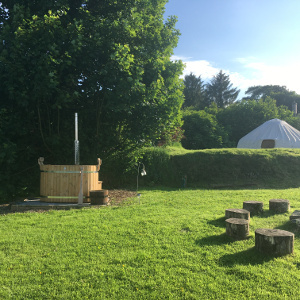 We have two stunning yurts with bundles of privacy, each yurt has its own log fired fresh water hot tub, a fire pit for BBQ and toasting marshmallows, and a paddock to play in or to sit watching the night sky roll in and the stars emerge. 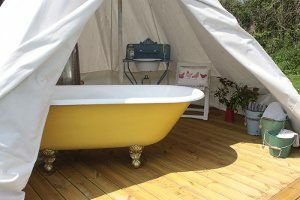 The yurts are equipped to the highest of standards with all cooking equipment included. 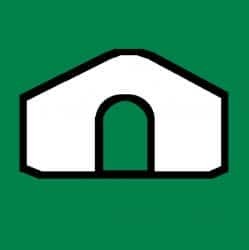 There is a a wonderful wet room style shower room with all the modern facilities you can expect including a maytag fridge freezer, washing and drying facilities and a changing table too. Young and old guests enjoy the indoor play barn with table games and board games and guide books to borrow. We grow many of our own foods and guests are welcome to buy direct from the garden, breakfast, cooked meals and hampers are also available on request. Our home made elderflower cordial is a firm favourite and is our go to welcome drink on arrival. 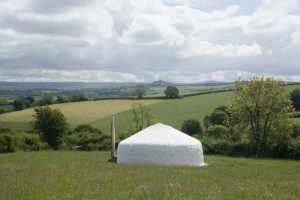 At Devon Yurt you can gain a whole countryside experience, immerse yourselves in nature , watching buzzards soar overhead, swallows darting over the meadows and rabbits and badgers if you have a keen eye ! 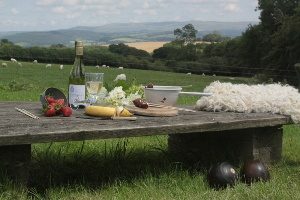 The views are unrivalled with large panoramas over Dartmoor to seduce you. Watch the sun rise over Dartmoor and later set over Bodmin moor. Being close to the Tamar valley AONB means both Devon and Cornwall are equally accessible, our guests enjoy days spent wild swimming and walking in Dartmoor National Park, visiting the coasts, walking the gorge at Lydford, visiting picturesque Devon Villages and market towns, taking part in a whole range of activities from horse riding to canoeing, or simply staying on the farm helping with feeding the rare breed sheep and chickens and petting our wonderful connemara ponies and generally having a relaxed and quite special time with their friends and families. 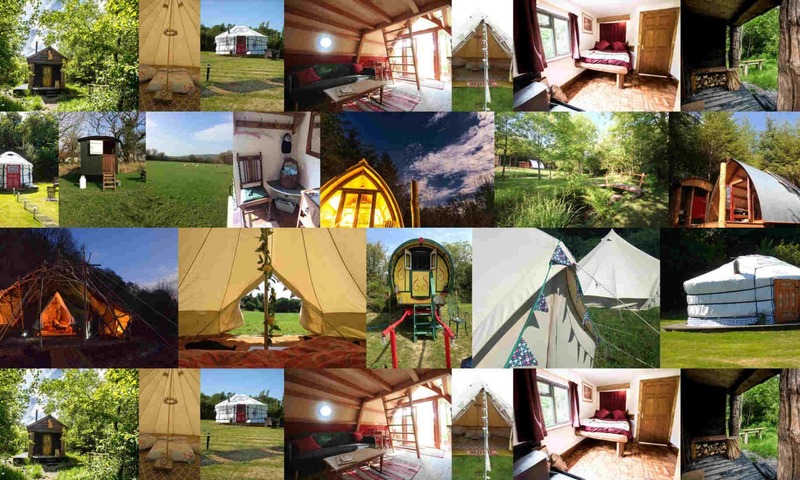 We cant wait to welcome you here and share this very special corner of Devon with you.